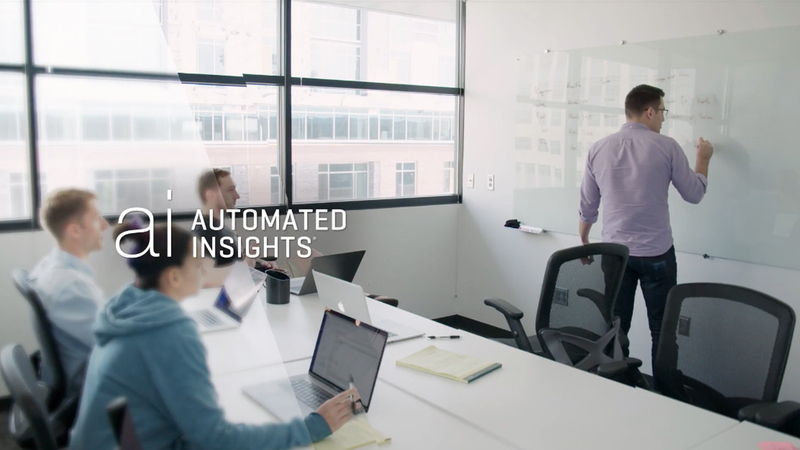 From company vision and market approach, to value positioning and product development, hear from our leadership team how Automated Insights and NLG fit in the business intelligence landscape. "These days, if you just get a quarterly report or a monthly report, you're kind of looking in the rear view mirror." "People don't necessarily consume data in the same way. NLG becomes critical because the analyst can scale their expertise." "Natural language generation is in a transformation of something that's very nice to have, to a key requirement of any organization." "It's really important when we build products to fit in with the rest of the BI ecosystem, which is all about empowering data analysts." Discover how Allstate uses natural language generation in their sales dashboards. Add natural language capabilities directly in your Tableau dashboards. Add the power of natural language to your MicroStrategy dashboards.